It is interesting to watch privately held companies that seek to go public. They hire IPO (Initial Public Offerings) coaches who work hard with the CEO, CFO, and COO to train them to attract investors. They work with these leaders to help them say the right things in order to sell their companies. They teach them which messages work and which do not. Leaders need to give their people the same compelling we’re-a-great-company-and-here’s-why-and-where-we-are-going reasons for success that are promoted to IPO investors or current stockholders. This approach is basic to team building and goes beyond vision and mission. It’s a way to engage the greatest resource of people—their energy! Isn’t that what all leaders want—team members with hearts ablaze for the company’s vision and goals? 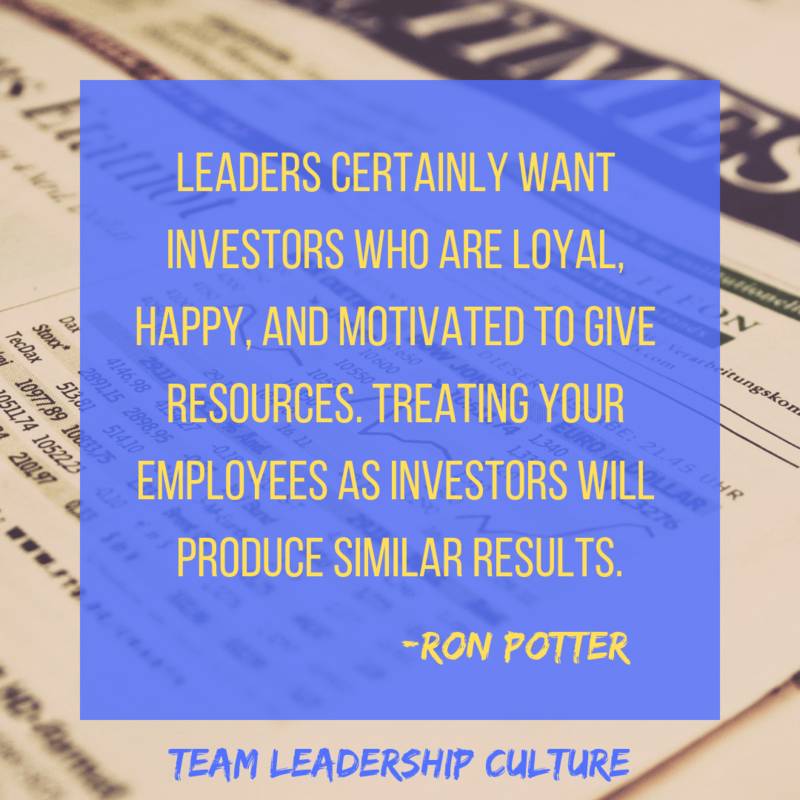 The leaders certainly want investors who are loyal, happy, and motivated to give resources. Treating your employees as investors will produce similar results.